The film star Bangladeshi actress Diti has written her name as a director last year. Two unit dramas have earned which gives her so much popularity. She has taken a decision to build up two dramas serial. The name of a drama is 'Dashe Dos' which is formatted by Rumman Rashid Khan. Other serial will be started for shooting in Canada. The name of the drama serial is 'Bhalo Thakish Ma'. At late the drama is introduced smoothly. 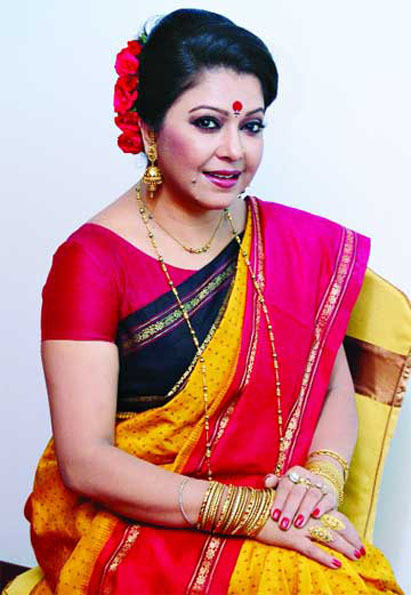 Film star Bd actress Diti says there are no golden days in the cinema. So she takes attention to the drama. Recently a picture named 'The Speed' has been released acted by her.